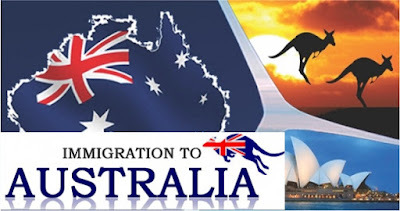 Moving to another country is a big step and things may become every complicated if a person wants to immigrate to a very enormous one such as Australia. The visa process for Australia can be very complicated and demand patience and a lot of paper work to be through. But there are certain options that you can seek in order to carry out your immigration process quickly. For this purpose, preparing carefully and beforehand is very necessary. Following are some of the steps that you can take to quicken up your immigration process for Australia. Before you can immigrate to Australia, you must research about its cities and their lifestyles so you can choose which one suits you better than the others. Working options and employment vacancies should also be perceived so you can find a job according to your education or your profession. But, if you are interested in setting up your own business you will also have to look for business options and what are its requirements so you can prepare yourself before your move. It can be very hard to organize everything at the time of move so you must look out for some relocation checklists to get the timelines which are involved in migrating to Australia. Getting a lawyer or migration agent can also help you get organized while you prepare yourself for immigration. This can also be done if only desired by the applicant. This will help you in achieving the immigration requirements by government of Australia. You have to see the state nominations and list of occupations to know if you are eligible for government nomination. For this purpose, applying to the Department of Immigration and Border Protection i.e. DIBP is necessary. This is rudimentary to do even if the applicant has applied for Government nomination as described above. You can look at different VISA types on the website of Australian embassy and check out skilled VISA or business VISA or student VISA and then apply for the suitable one. Along with the application VISA form, certain documents have to be attached. These documents involve certificate of skilled assessment test given by relevant Australian assessment authority, age proof, birth certificate, and passport, relevant and reliable IELTS reports which should not be older than two years from the date of VISA application, reference letters from employment companies and marriage certificate if you are married and are applying for your spouse as well.